Experts claim a revolutionary new weapon that can jam enemy missile guidance systems and satellites is set to enter testing this year. An earlier version of the system, called Krasuha-4, is shown here. 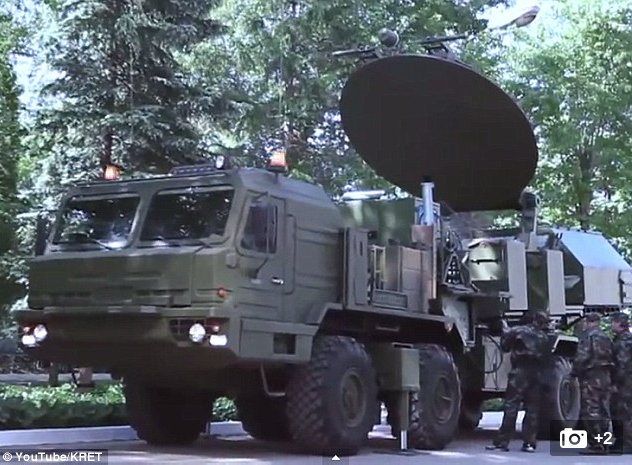 [SatNews] Interesting ..."It will fully suppress communications, navigation and target location and the use of high-precision weapons..."
Its Russian makers say it is a 'fundamentally new electronic warfare system' which can be mounted on ground-based as well as air- and sea-borne carriers. However, it has refused to reveal how the system works. "The system will target the enemy's deck-based, tactical, long-range and strategic aircraft, electronic means and suppress foreign military satellites' radio-electronic equipment," Russia's Radio-Electronic Technologies Group (KRET) Deputy CEO Yuri Mayevsky told Russian news agency TASS. To comply with international weapons laws, the system will be mounted on ground-based, air-and seaborne carriers and not on satellites. "It will fully suppress communications, navigation and target location and the use of high-precision weapons," said adviser to the KRET first deputy CEO Vladimir Mikheyev. 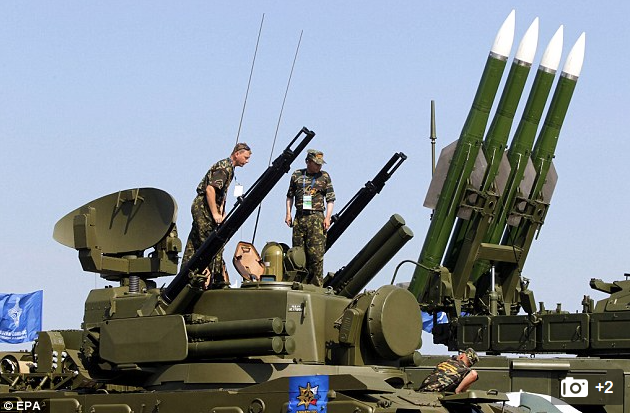 Russian rocket system 'Buk-M2' on display during the MAKS 2011 airshow in the town of Zhukovsky, outside Moscow, Russia. "The system will be used against cruise missiles and will suppress satellite-based radio location systems. It will actually switch off enemy weapons. The system's ground component will be tested soon," he claims. "Ground tests are now going on in workshops. At the end of the year, the system's component will leave the factory gates for trials at testing ranges," he said. Earlier this month, the Russian military test-fired a short-range anti-missile system, which successfully destroyed a simulated target at the designated time. "The launch was aimed at confirming the performance characteristics of missile defense shield anti-missiles operational in the Aerospace Defense Forces," the Russian defense ministry said at the time.